I had the loveliest time taking Kathy Doughty and friends through Found/Made at the San Jose Museum of Quilts & Textiles. I'm thrilled that she would include her thoughts on both the exhibition and Unconventional & Unexpected in her dynamic blog, Material Obsession. 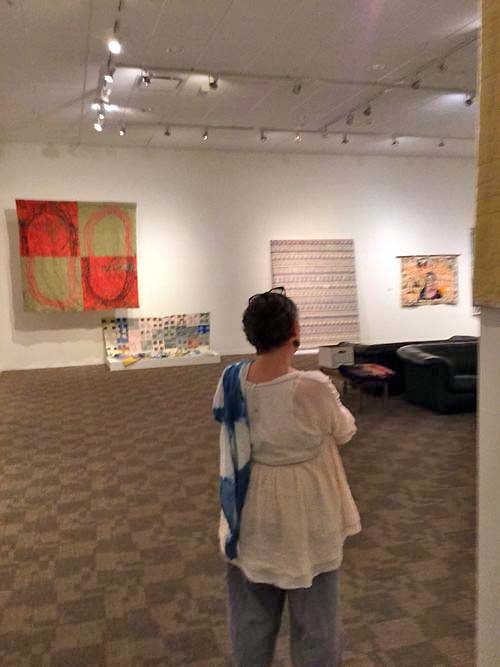 It's amazing to see others respond to the quilts and the artwork in the same way that I do: as a treasure seeker, wondering what the quiltmaker was thinking, enjoying and questioning tradition. Thank you to Kathy and everyone at Material Obsession. Read in Material Obsession what Kathy has to say about Found/Made. Found/Made is open until November 1, 2015 at the San Jose Museum of Quilts & Textiles.